This week I [hopefully] propagated some rosemary (yes! I managed to keep this one alive all summer and it looks great! I think it likes me). I also cut back my basil plants. 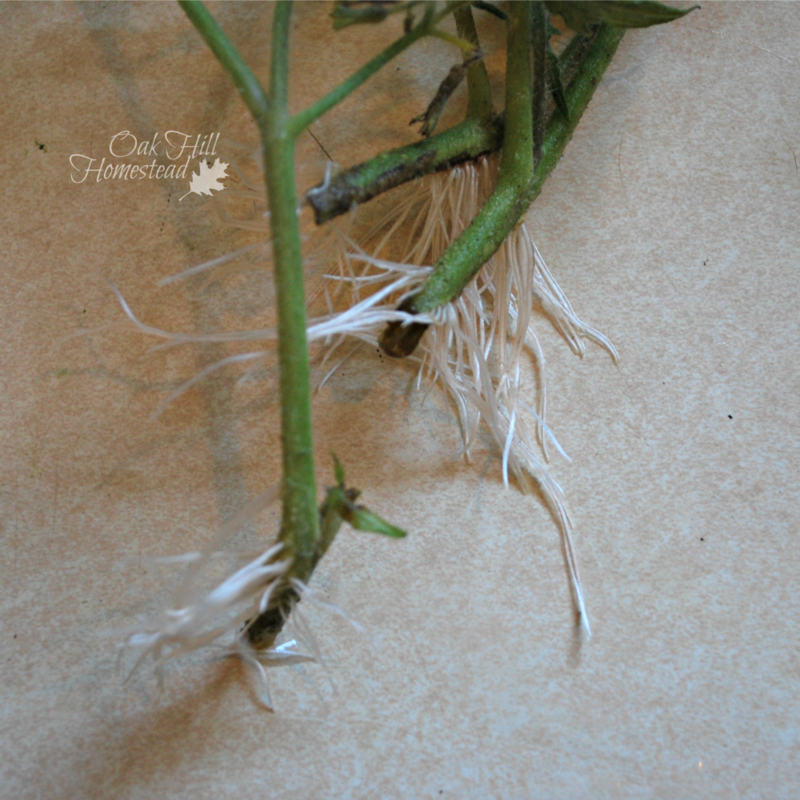 I had a huge number of cuttings, even with leaving enough branches to produce seeds for next year. I could have rooted a couple of them to grow on my windowsill over the winter but basil is so easy to start in spring, so I dry it for winter use. Air drying works best for me where basil is concerned. I pulled the leaves off the stems and heaped them into a large bowl. A few days later, the drying leaves have reduced in volume by half. I turn them several times a day as I walk past, plunging a hand to the bottom of the bowl and scooping the leaves up to the top. My kitchen smells amazing right now. The tomato cuttings are doing well this year. I planted each cutting as soon as it grew roots. 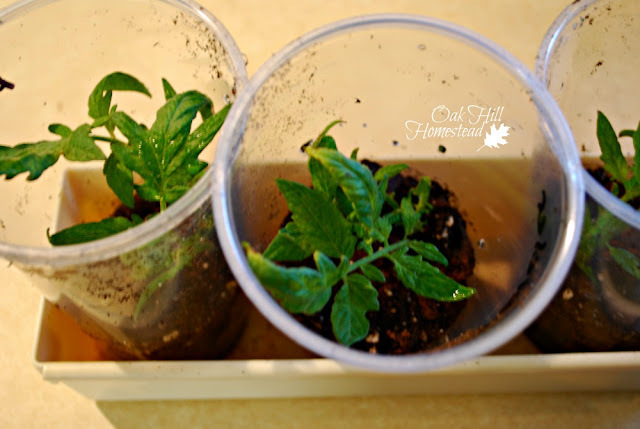 They each have their own plastic cup of potting soil and a place in a bedroom window. As they grow, I'll add potting soil until eventually the cups are full. 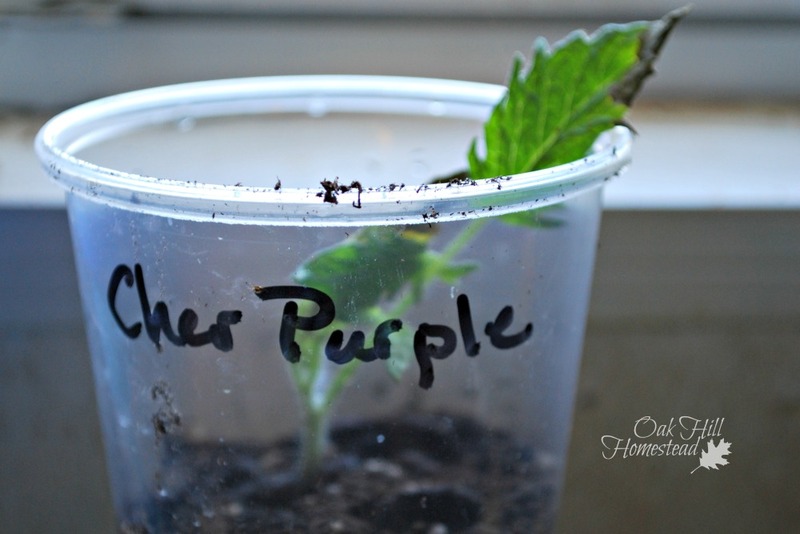 The plastic cups are easy to write on with a Sharpie so that I know each plant's variety, although one plant is a mystery. The marker in the garden is missing and I'm not sure what the parent plant was. Another plant has been doing so well that I had to remove several flowers. The walking onions have been thinned. My seed garlic arrived and is ready to plant this week. I have one more batch of apples to can as well as more tomatoes. According to which source I look at, our average first frost date is either October 20th, October 31st, or November 10th. Winter is coming fast. Are you ready? 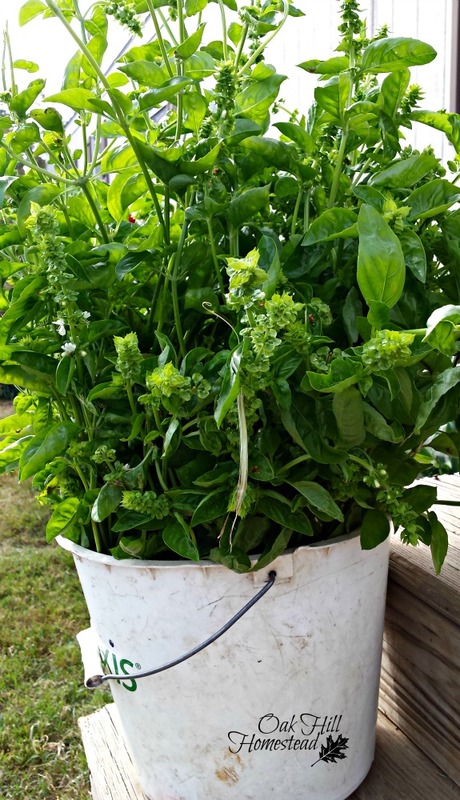 Your basil looks lovely! 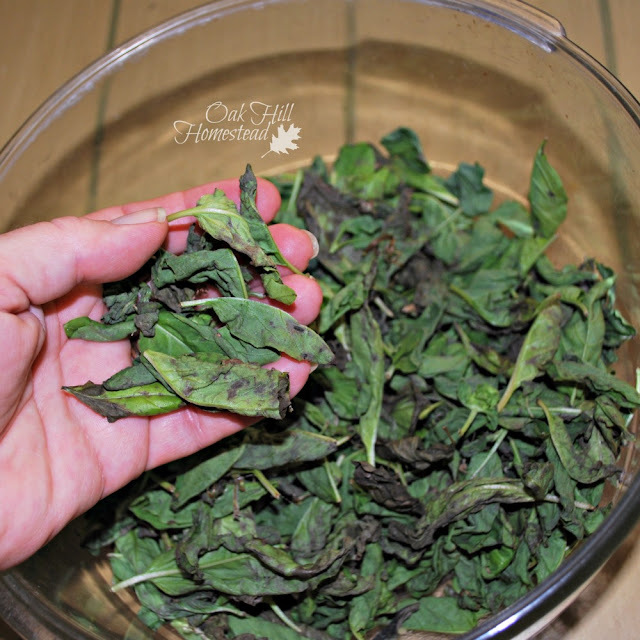 I adore a leaf or two of dried basil added to a white teabag - especially in the dead of winter! It smells so good, is cozy yet so refreshing! Your tomato clones look great also. I tried that a couple of years ago with no luck, but will probably try again next year - especially if I get a couple of tomato plants that I really like! Our nights are starting to get cooler and our first frost date is coming soon also! I will be getting my garlic and onions in soon. Have a great evening! Basil would be so warming in tea, what a good idea, Vickie. Very interesting on plant propagation. I need to propagate my rosemary. Might as well give it a try, Sarah, right? Looks great! I just started a bunch of basil in my AeroGarden. Love having fresh herbs in the winter. Thanks for sharing on My Flagstaff Home! Fresh herbs in the winter are a wonder thing, aren't they, Jennifer? I kept my basil and rosemary both alive for the whole summer and they are in a windowsill now await winter! Good job, Helene. I've had such trouble keeping rosemary alive, so that's a big accomplishment in my opinion. I've started mint by putting in water, but never rosemary. Definitely going to give it a go. Hi Pam. Evidently it isn't a quick process, but hopefully it will work. Congrats on your rosemary! I think you will find it easy to propagate. Your basil looks fabulous. I can almost smell it! Thanks for dropping by The Maple Hill Hop this week! Enjoy your herbs and maters. Thank you, Daisy. Basil seems to really like my location and weather. 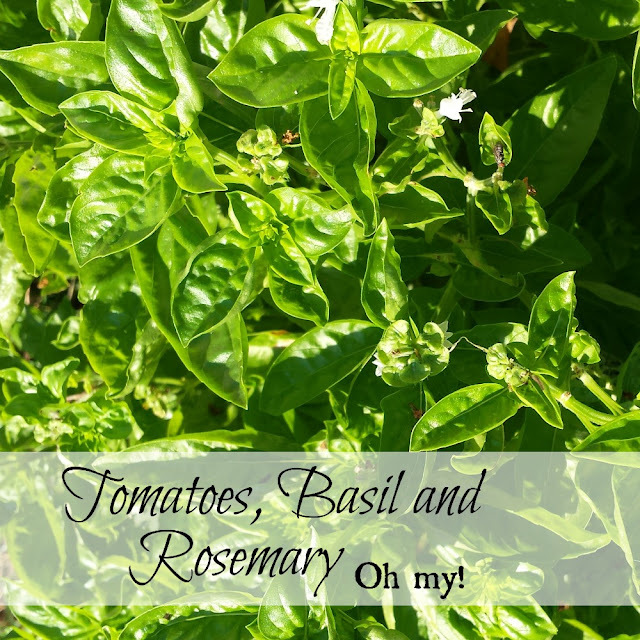 I can only imagine how wonderful your place smells with all these great herbs! Mmmmm, yes Betty, the kitchen smells pretty neat. The herb garden is winding down but that's what I love most about it: the wonderful scents. That's exactly my reason too, Bonnie! 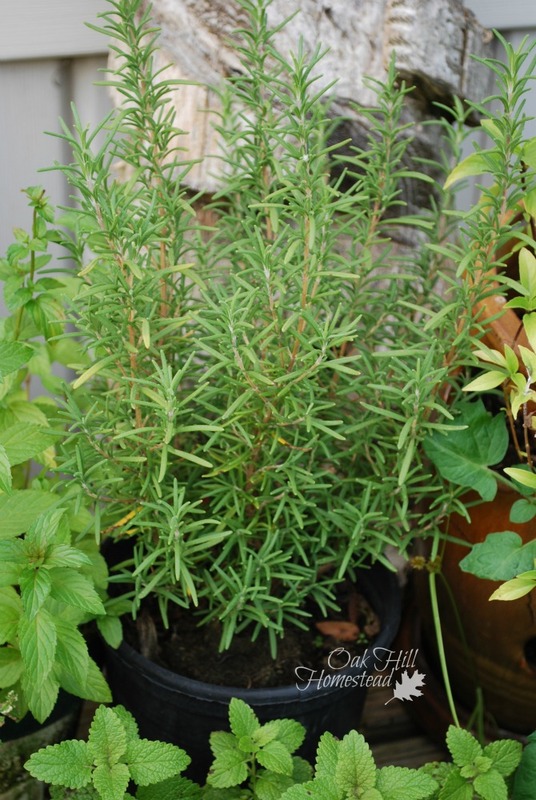 I have trouble keeping rosemary alive; if I have more than one plant I have a better chance. very useful post, I propagate rosemary, and never tried with tomato and basil, thanks for sharing this wonderful tips with Hearth and soul blog hop, pinning and tweeting. April, isn't it lovely to have something green growing even in winter? You are blessed to have a huge rosemary bush. It must smell heavenly.